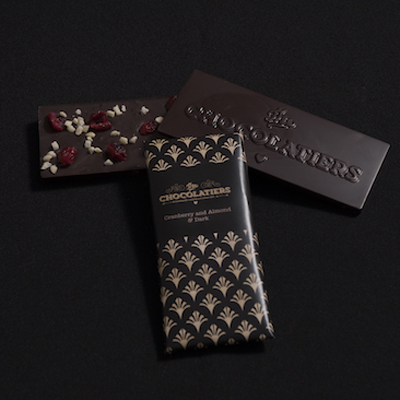 Real dried cranberries and chunky almonds embedded in a 70% dark Belgian chocolate bar. The cranberries give a natural sweetness and the almond a delectable crunch. All our ingredients are natural, organic where possible, and our couverture is Forest Alliance and UTZ certified. Notify me when Dark Cranberry, Almond & Dark Bar is available.